rajesh, 12 Feb 2009i don't have sorryi want to buy this phone, nxtweek, i already hav this phone. how to have an anti virus for free? Yup. N70 is good. I like it. It depends on d user on how the phone behaves.If other says its very slow-well i say its fast. The fact is ,m0st users just keep using without some tweak on their phones. Make some research. I didnt even update my 0S. ayesha16, 27 Jan 2009guyz! i need help! why i cant send any sms messages to my friend in Melbourne, Australia? ... morewat network r u using, mtn/vodacom/cellc? How does video call support on my nokia N70M? Hi..I am using nokia n70m its too good for me.All its features are comfortable.But the sound is good.But the sound is not too high.More additional speakers should be added.Otherwise all wright. es like games...It is not a good idea to buy N70! 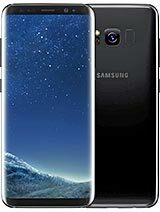 I suggest that you switch to other units and avoid buying this phone. To sum up, this is not a good at all!